Shabby chic – a combination of rustic treasures, charming things from the flea market, home-made favorite pieces and modern accents – is among the currently fashionable furnishing styles. You can create a room as you wish. In the living room, upholstery furniture in strong color harmonizes with the home-made pallet table. 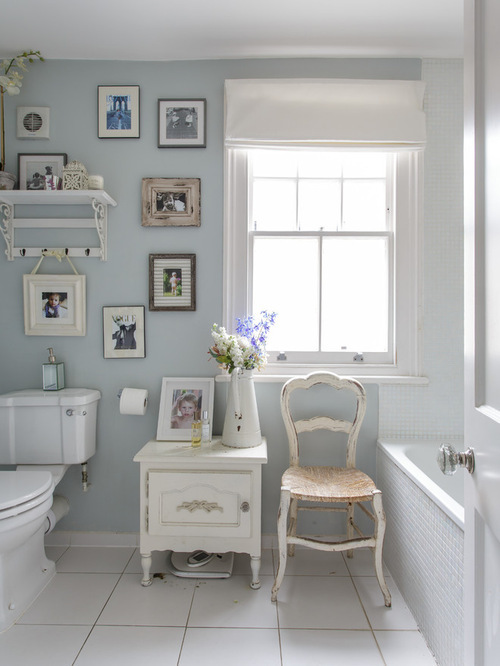 In the kitchen, the seating corner from a colorful combination of different chairs becomes the “dreadfully chic” eye-catcher and also the bathroom receives the style indentation. 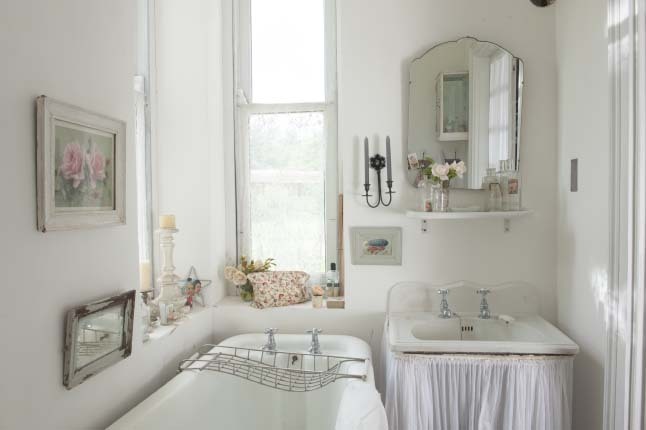 We show how a comfortable shabby chic bathroom can make to feel good. 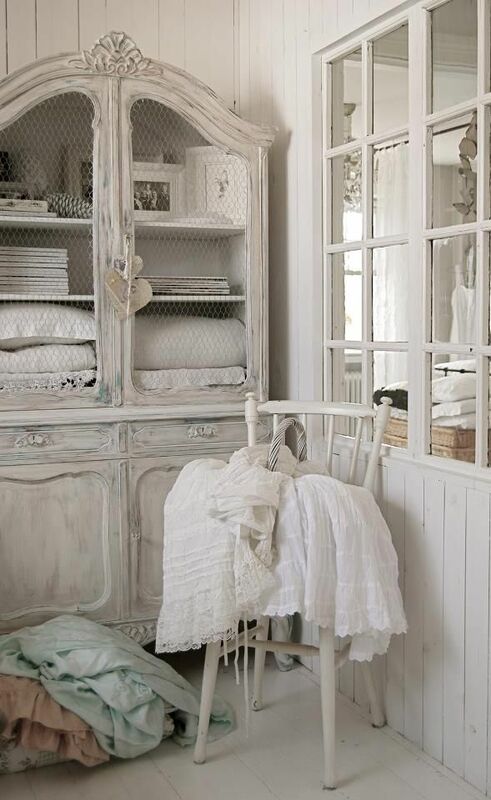 The Shabby Chic convinces by its loving combination of old, new and homemade things. The harmonious interplay is based on a feminine color scheme: rosé, delicate turquoise and cream shades are predestined for the Shabby chic style. The colors create a loving atmosphere in the room, which does not look kitschy due to antique and rustic elements. Anyone who already has a bathroom from the 70s with dyed tiles and sanitary objects, sets this up perfectly. Let the pink walls become an eyecatcher by consciously placing this color in the center, for example, through a shelf with pink vases. 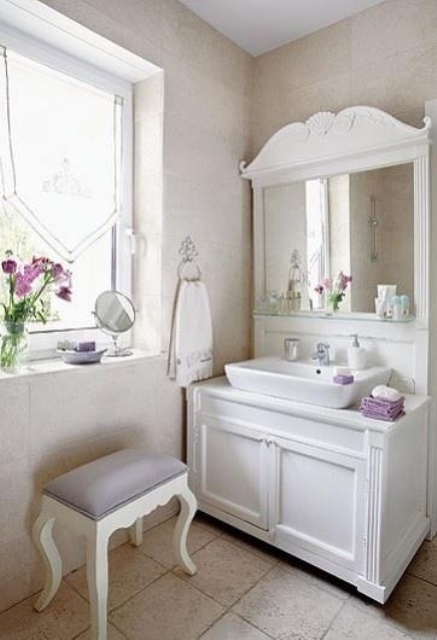 In a white bathroom you should create the feminine flair through various combinations. 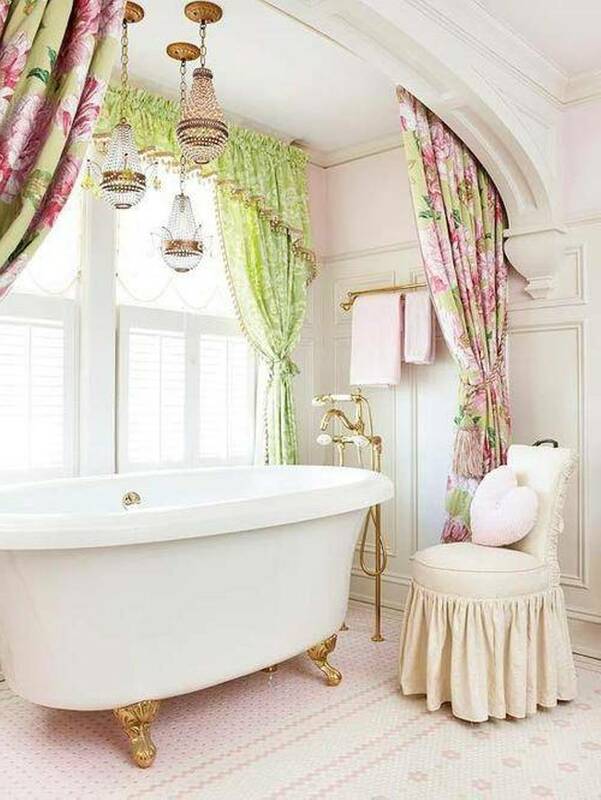 The best choice is towels in all pastel shades, a romantic shower curtain and a printed toilet seat. On a white toilet, a motif on the lid makes quite a thing: in the playful flower pattern, in casual wood optics or even dyed beige, the bathroom looks the same much more loving. A nice selection of toilet seats can be found for example on our site. 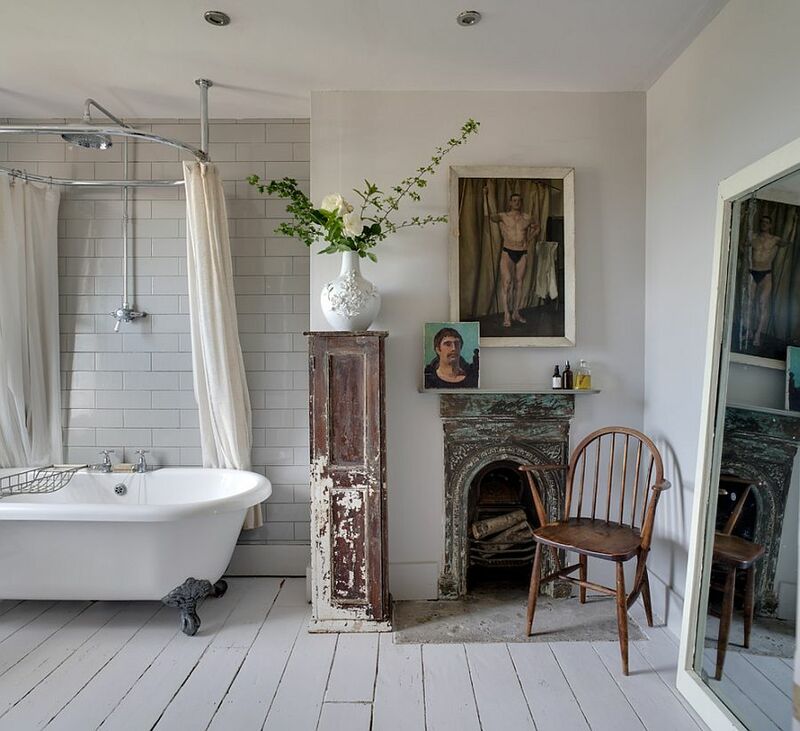 Anyone planning a bathroom renovation anyway, can go a step further and directly in the selection of the bathroom equipment to put Shabby chic elements. 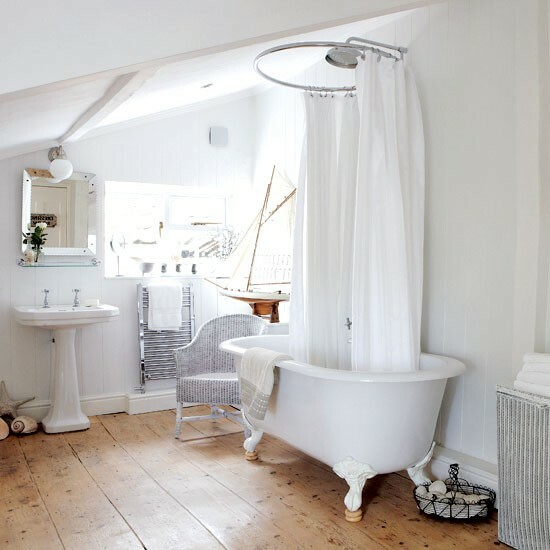 A free-standing bathtub is an absolute must, as well as round and soft forms for the toilet and the washbasin. If you like, choose colored or slightly creamy variants instead of pure white. Importantly, the uniform appearance of the bath bases. 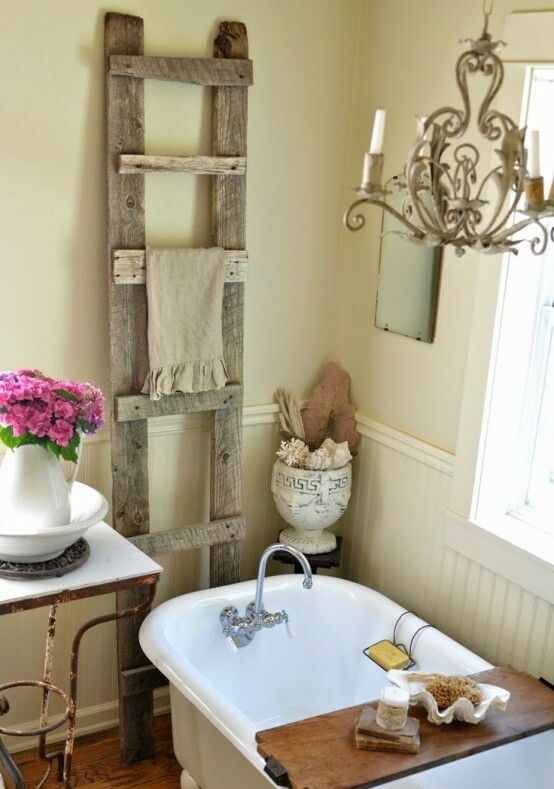 To Shabby Chic Bathroom includes Selfmade! 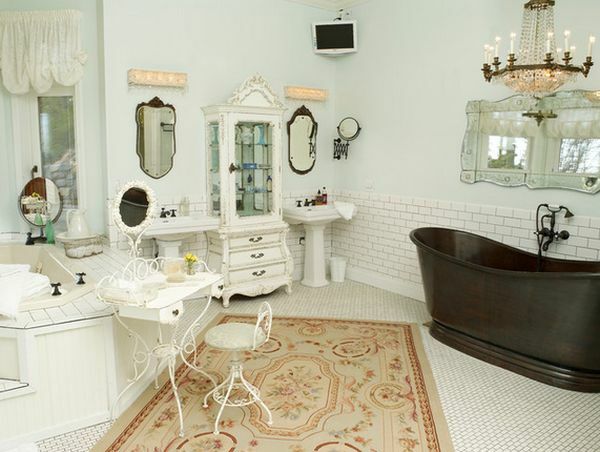 Each shabby chic bathroom has something self-made. 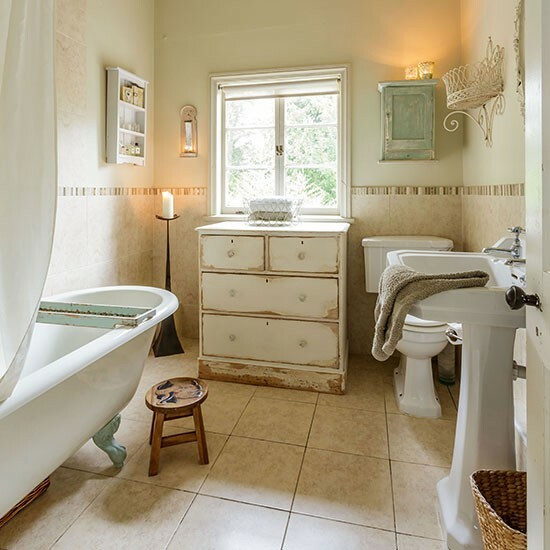 Whether it is a self-sewn shower curtain made from old plastic bags, the recycling of preserves to decorate cosmetics cans or the upgeccelted washbasin from an old chest of drawers with a new wash-basin – old products an update and thus a trend in the bathroom is absolutely in! 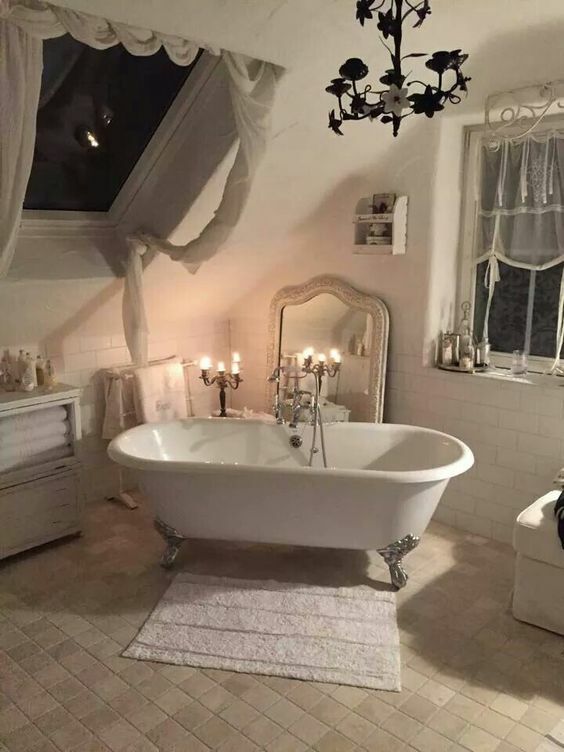 But also long-forgotten handcrafts show themselves in the Shabby chic from their most beautiful side: even cast candles for example conjure romance on the bathtub edge romance in the air and the specially made soap provides fresh fragrance and hygienically pure hands. 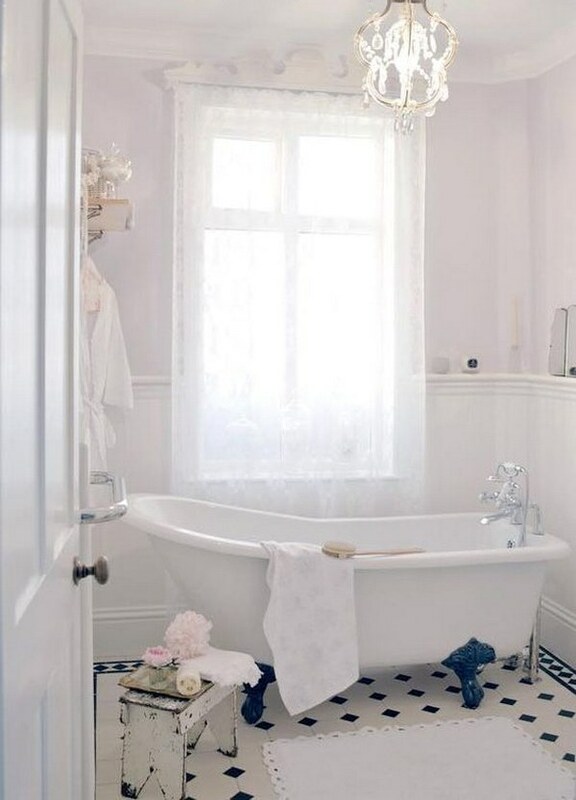 Bring yourself into the bathroom design – the more personal touch, the more you will stay in the room later. A charming contrast is shown by the interplay of the white ceramics, the delicate color selection and the loving decoration with rustic wood and metal details. 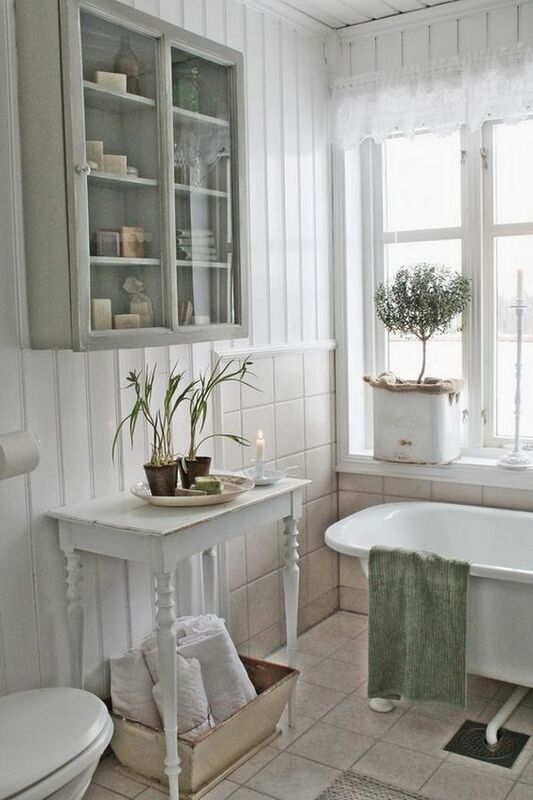 A bucket as a vase for the fresh flowers or the homemade table on the solid wood bathtub spread a pleasant charm. 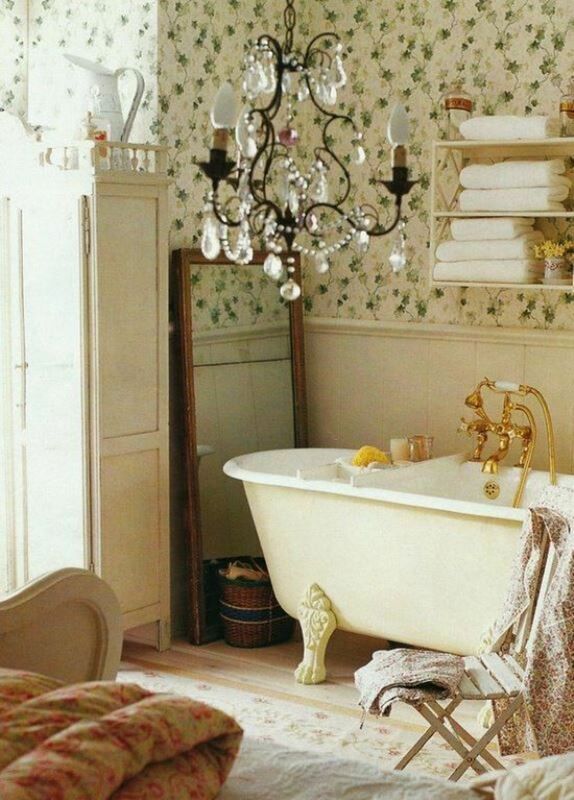 You take the bath some of its feminine radiance and spice up the room slightly rustic. An old slate table will awaken nice memories – and you can leave your loved one in the morning early a message. 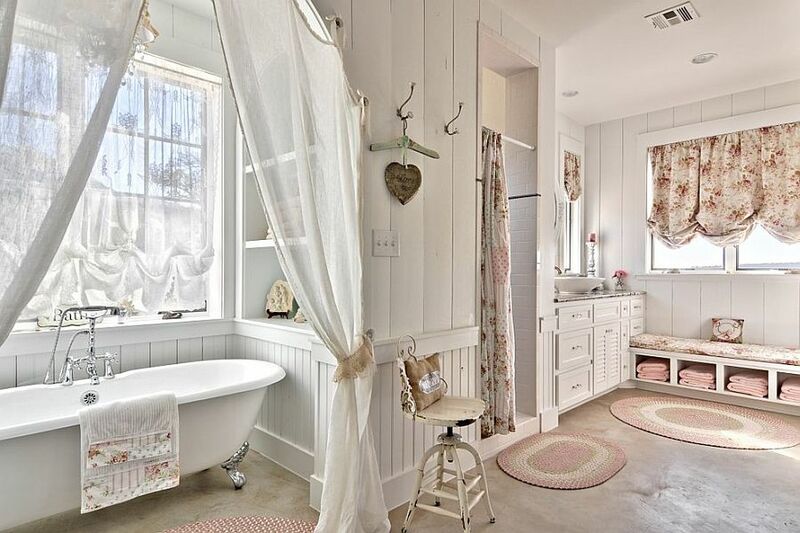 At the flea market or flea market, you will surely find the right decoration for your dream bath. With all the attention to detail you will not lose sight of the essentials: the bathroom is a place of well-being, here you start the day and look for recreation. 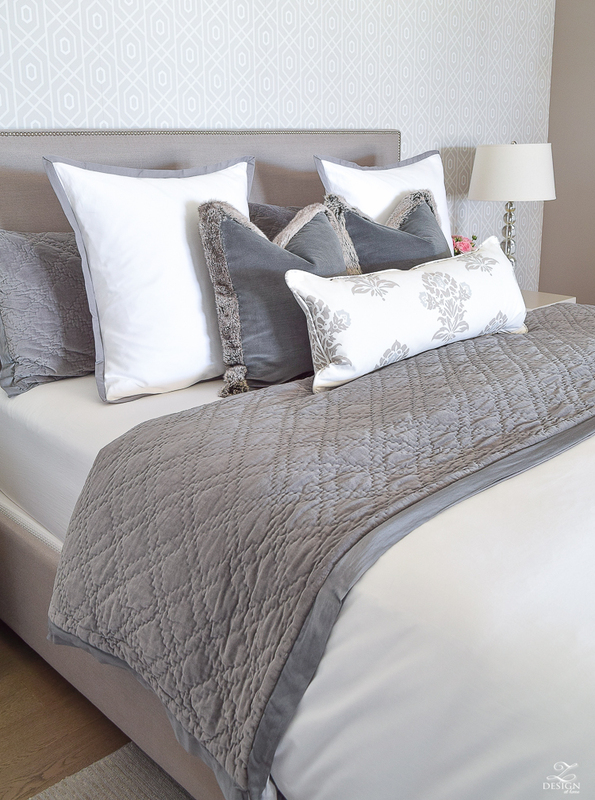 Adjust the room to your requirements – so you feel comfortable. 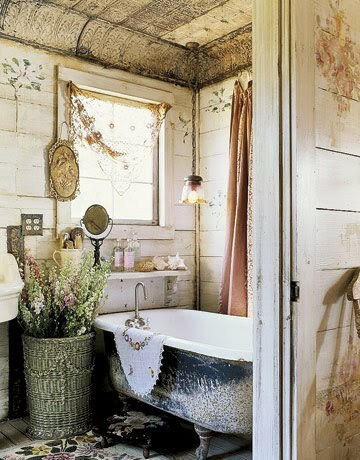 With all the personal touches, your self-made projects and favorite colors, the Shabby Chic Bathroom is certainly a nice retreat for you.